Sometimes I receive questions from readers that make it to a new posting. 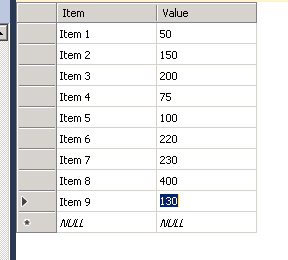 The other day I received a question about a modification to an earlier post about SSRS and running totals. This reader wanted a running total in the footer of the page AND a running total in the body of the page, at the start to be exact. 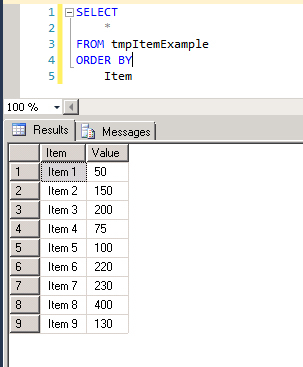 So I start with a basic table with some values and the query used in the dataset. 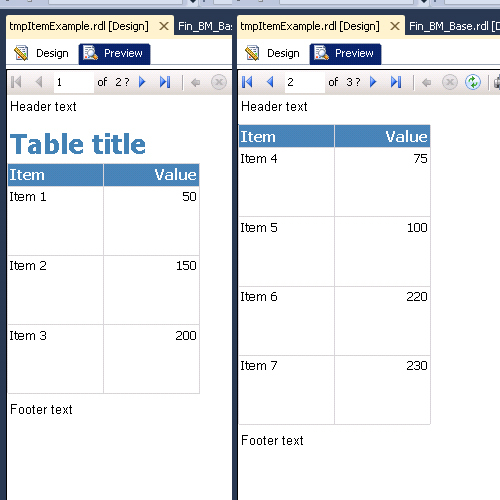 A simple table and page header / footer. But now for the two running totals. The first one (at the bottom) is simple. 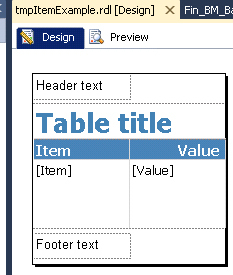 I just create a new column (that will be hidden in the real report) and add an expression in the rows. Now this should give me a footer with some text and the running total. Next the running total at the start of the body. Now this seems more difficult, but it is actually simple as well. I created a second column and added an expression in the row. Looks similar right? The only addition is the subtraction of the value from the first item. So this should give me a running total from the previous page(s). 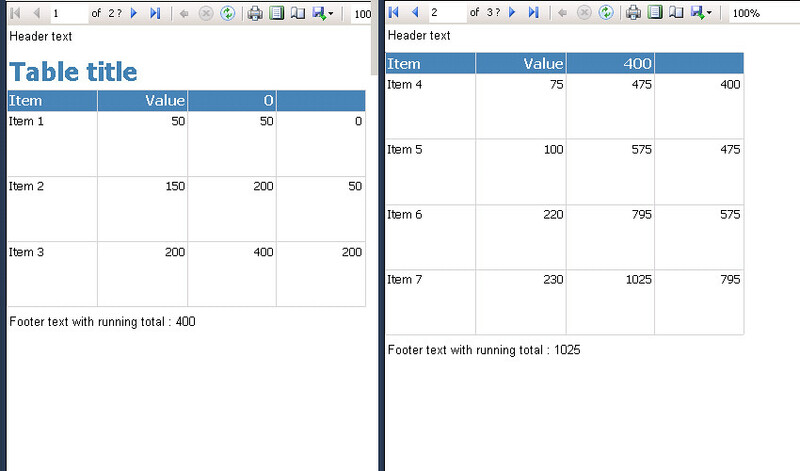 I named the textbox HiddenRunningTotalMinus1Row. 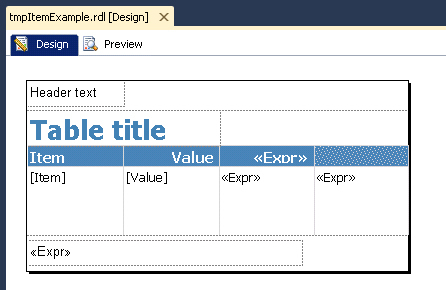 Now you can refer to it somewhere else in the body (just make sure it is above the first row). Looks a lot like the request.